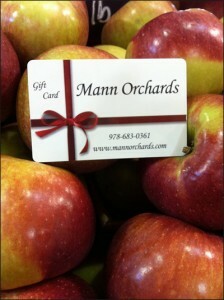 At Mann Orchards, our apple pies are a customer favorite. 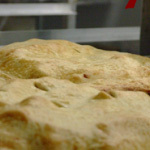 The apple pie recipe is our original and dates back to the 1950s when Ruth Mann introduced the family’s beloved pie to the public through the family farmstand. 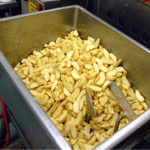 Since then, we have sold hundreds of thousands of pies. 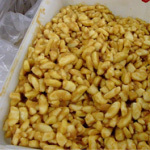 First, our very own apples are mixed with our special sugar and spice mixture. The apple mix then waits to be stuffed into an apple pie shell. 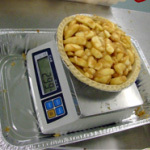 Almost 3 pounds of apples are crammed into every pie! 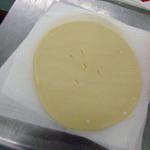 The top crust is carefully rolled out. 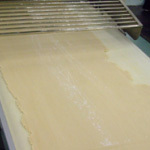 Each top crust is cut by hand. Milk is applies to help the top stick to the pie. 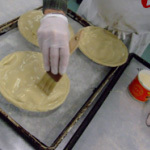 The crust is crimped, by hand, onto the pie. 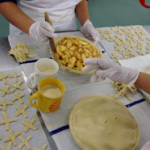 A milk and sugar mixture is painted onto each pie to give them their golden brown color. 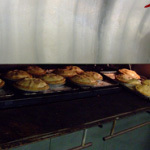 Pies are placed into the oven to be baked to perfection. Mann’s delicious apple pies and ready to be enjoyed!